Long rows of cubicles stacked row-wise..
A small pantry with a frail, overworked coffee machine..
Big wooden cupboards filled to the brim with files..
and a small water cooler. Did you get reminded of F.R.I.E.N.D.S or The Office? The typical corporate offices were like this a few years ago. The baby boomers focused more on being productive rather than making the space productive. Concepts such as bean bags, recliners, foosball tables were novelties and reserved only for recreational purposes. Who knew that the younger generation was going to mix business with pleasure? Millwork engineering was hardly recognized as the essential element of offices until the last decade. However, in the last ten years, the scope of architectural millwork has transformed drastically. What comprised of wood products such as doors, cabinets, countertops, wall panels, and trim has diversified into glass products, stone, decorative acrylic and metal, operable partitions, functional fabrics and high-end designs. Why did the need for such a transformation arise? According to market research, nearly 80% of what constitutes experience is based on the visual sense of environment. 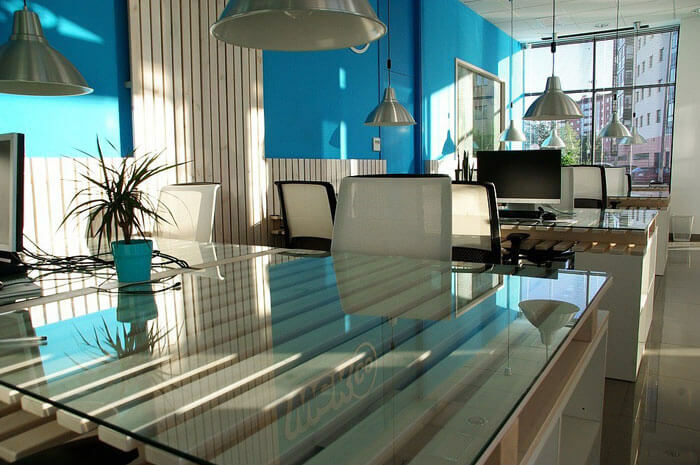 Uninspired office designs create stressfully and demotivated employees. One of the easiest ways to engage employees is to give them the right environment for working. Engaged employees can accentuate the bottom line of a company by 20 percent. A recent survey of employees across 142 countries revealed that only 13 percent felt engaged in their workplace. The survey also mentioned that disengaged employees outnumber the engaged ones by two to one. What businesses realized was the need to transform the inside of the workplace, to make the workers feel at home. That means doing away with dull colors, uninspired designs and making the office environment more welcoming for both clients and employees alike. How does architectural millwork help increase overall workplace productivity? Quality interior design can tremendously improve the way people look at your business. 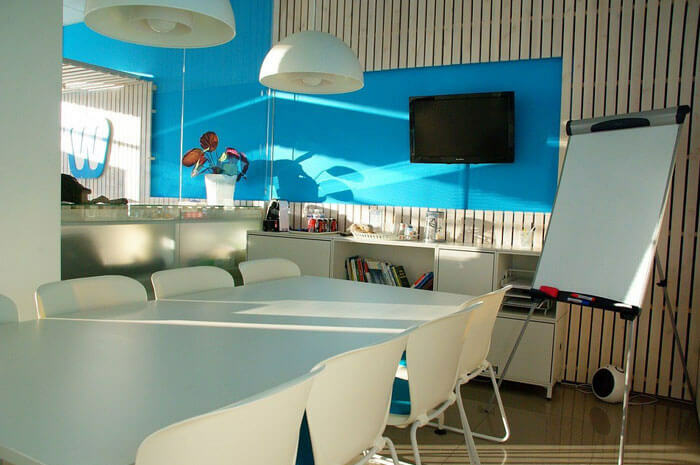 Executive offices, tech-savvy conference rooms and well-furnished meeting rooms make for an inspiring workplace. A big role is also played by the office design layout. Open spaces, recreational areas and brightly-lit up meeting rooms instill excitement and innovation. When you allow your workforce to choose when, how and where to work, you automatically become an empathetic leader in their eyes. Flexible work empowers employees to work as per their ease. 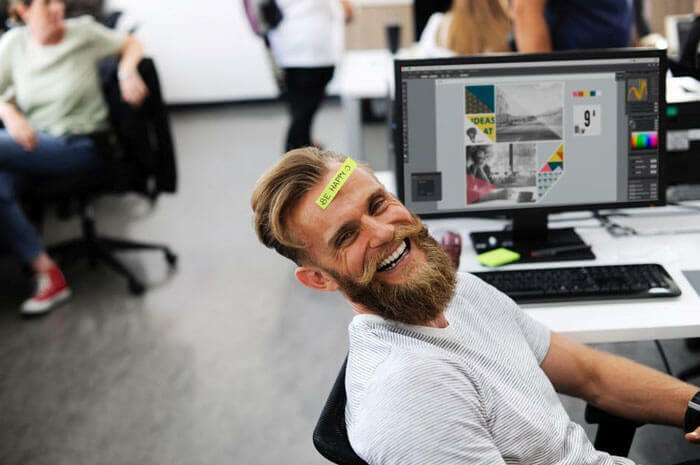 Latest statistics show that 30 percent employees who have ease of work are highly engaged in their jobs and 60 percent employees who have interior work flexibility are extremely satisfied with their job. A satisfied employee lowers attenuation rates and adds more value to business! Businesses today are complex and demanding. Employees are often overworked, with long hours and a lot of unnecessary stress. The least you can do is to give your employees activity zones to unwind. All purpose-built areas with the right architectural millwork drafting ensure that your office interiors are stress-reducing, not stress-inducing! Some ideas for activity zones might include project rooms, break areas, impromptu meeting areas and all-in-one workstations. These innovative ideas make up for cellular cubicles which are boring. 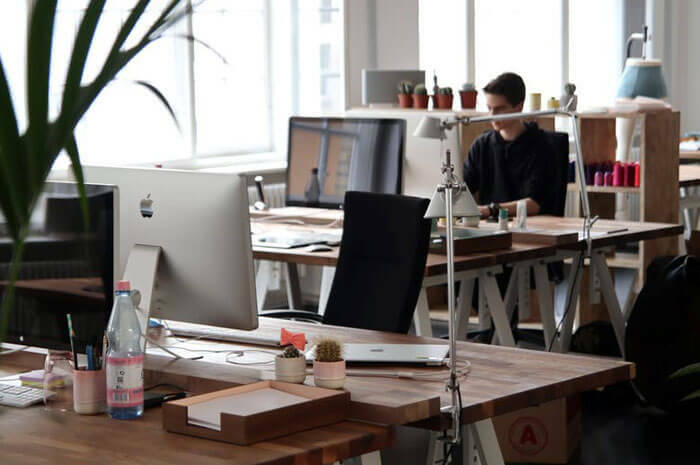 It might seem like a lot to spend several thousand dollars on building awesome operational workstations for your employees initially, however, the increment in staff performance will more than make up for it. 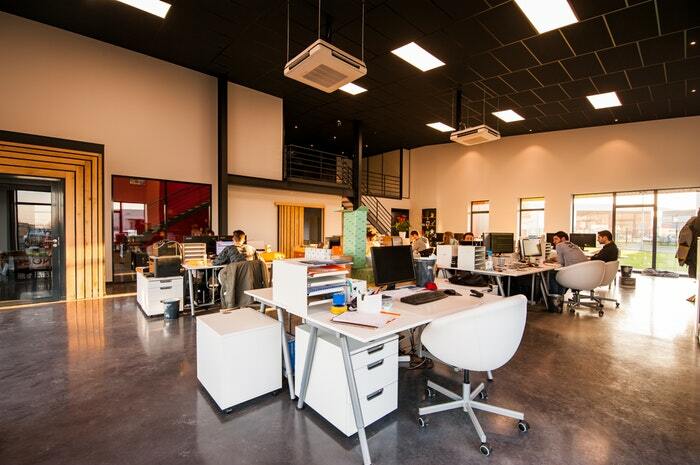 A 2 to 5 percent increase in staff performance will cover the entire expenditure of their office interior designing. So, what kind of custom millwork designs for office should you invest in? As an architectural millwork company, we suggest our clients go for custom reception desks, casework, custom workstations and custom paneling. Beautiful molding designs add a personal touch to your business environment. You can get several designs to complement your existing interior décor and style. Molding can also be adjusted around your color scheme, truly bringing out a room altogether. Just imagine the impact it will have on your clients! We’d be happy to help you out with any ideas that you have! Just drop us a line. The best way to accentuate architectural elements in your office space is to get custom designed millwork on your ceiling. The experts at BluEntCAD have a lot of great ideas on this. Just give us a call to know more! The millwork detailing can be designed to supplement your molding, so that your office space becomes more appealing and inviting. No need to buy mass-produced stuff that every office has. Take some time and discuss your business with our experts and find out what kind of storage space would complement your business space. Innovative casework like built-in cabinets, rolling drawers and folding desks not only save space but also blend seamlessly with your existing aesthetic and décor. If your office is on a different floor, then you can make sure that the entrance to your building is grand! We’ve created several custom staircases which are highly detailed and attractive. Doing this will have two advantages. One, your entrance will become more inviting since the stairs will stand out and two, your office will be lauded by your employees who will feel different when they walk the stairs everyday! There are several other ideas to work around. For example, there is a lot that you can do with the pantry. You can include a playroom for toddlers or have a reading and writing room for your writers, researchers, and interns. We’ve several ideas besides these but to hear them out, you need to get in touch with us! Aesthetics are as much a reason to consider millwork as is functionality. Cabinets and fixtures increase storage spaces, adding elegance at the same time. Having a great interior with customized millwork is not difficult. You just need the right expert to help you out with design drafting services and installation. And BluEntCAD is here to help take your worries away! Just pick up the phone to speak with us and we’d be happy to help you with your next project.